My little guy loves Playdough! 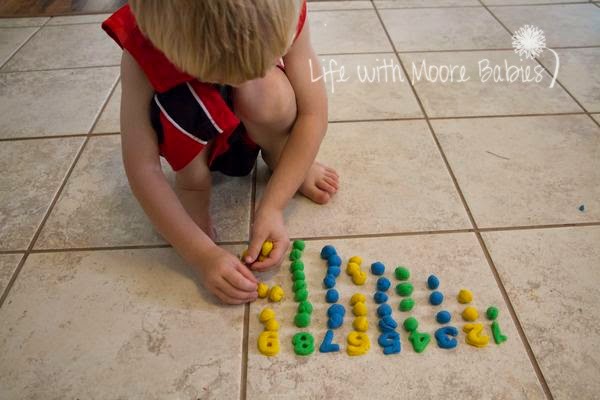 While he was playing with it one day I came up with a way for him to practice his counting skills. 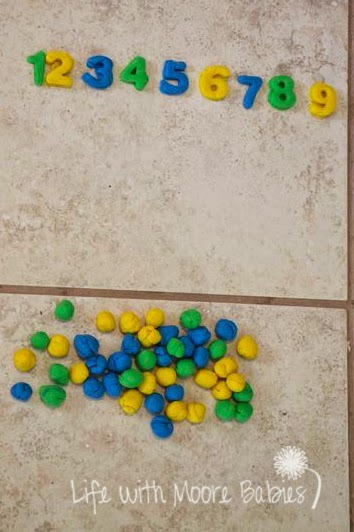 Using his Playdough number cutters, I cut out the numbers 1 through 9; then I made the same number of balls I colors corresponding to the number. 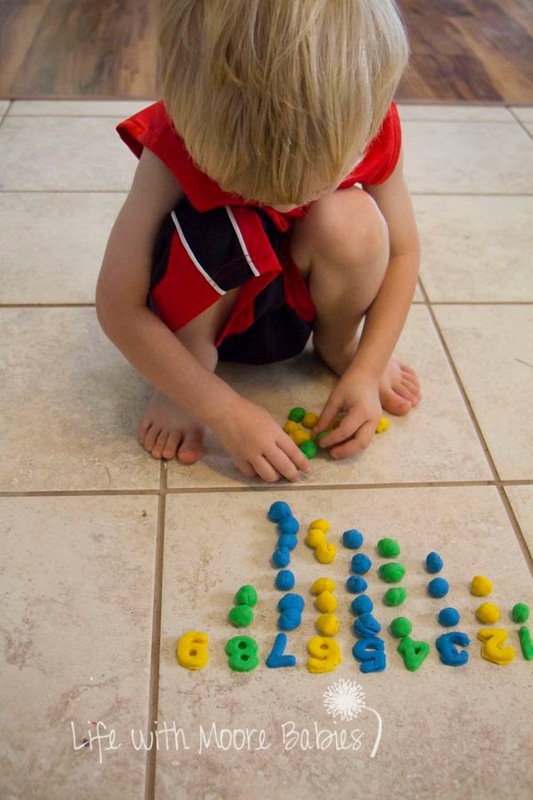 After we went over the numbers, his job was to sort the appropriate number of balls under each number. I made the balls in the same color as the numbers because I knew he would want the to match! It was also helpful to him because if he ran out of a color before he was finished he knew something was wrong. For this reason, it may have been better to use 9 different colors, but I try to limit the colors we have out at the same time in hopes that we will keep colors rather then end up with all brown playdough! You are probably wondering by now where the smash part comes into play. 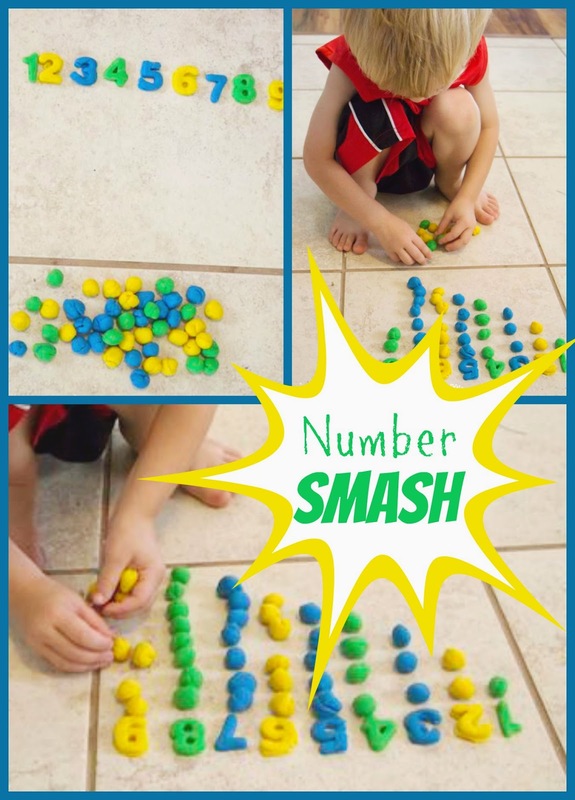 Well, after he finished sorting I tried to get him to count the balls again while he smashed them thinking it would be a fun, active way for him to count, but he had other ideas. 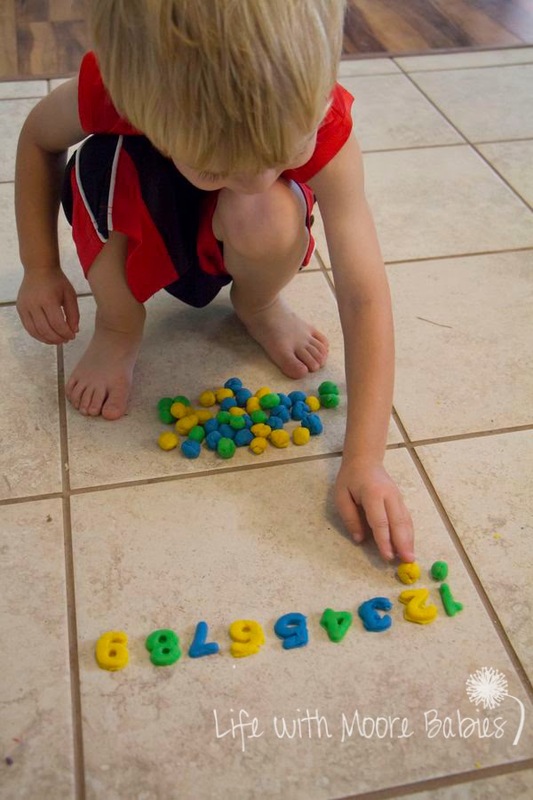 Actually he didn't want to smash his "itty bitty baby balls," so he just counted them again!